Cloud Based Technology - Why Industries profit Increased 25 % By Switching Cloud Based Resources. Cloud computing is not simply limited to storing data files in an Internet safe. To be sure, it has matured considerably in the last 5 years to accommodate enterprise software providers, like Amazon and SalesForce.com, to reinvent the way we use standalone and server-based software. 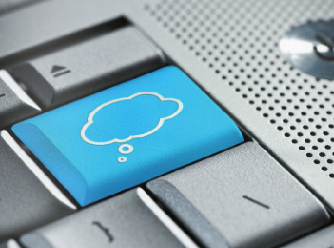 Cloud computing is about accessing your software and data through any think client or smartphone; the Internet is merely a vehicle that lets you connect to your cloud. 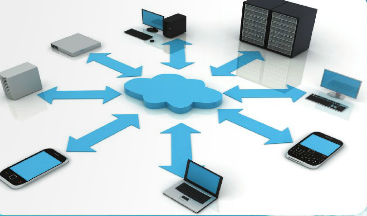 Cloud computing brings many benefits to the end user. These include access to a wide range of applications without having to download or install them on your device. Compatibility is standardized with the Web browser you are using; therefore, there is no need to install any plug-ins. Applications can be accessed from any computer, anywhere in the world. Users can also avoid unnecessary expenses for hardware and software. Consumption is billed as a utility with minimal upfront costs. Finally, resources that are not used to their potential can be eliminated and reduce the company's costs. 1. Software as a service (laaS) or cloud-based software (CBS), which operates within the browser to give users all the tools required to run their resources. Some examples are SalesForce.com and TeamWorkpm.com. 2.The second service is platform as a service (PaaS). PaaS gives the user the tools to implement his or her customizable solution. Whether to build a website or decorate a house, tools available on the cloud's platform are free to use. Examples of PaaS are WordPress and Joomlal. 3. Infrastructure as a service (laaS) is the best developing service of all; it dominates the virtual industry to give companies the convenience of having their information and servers in a secure facility. Examples are RackSpace Cloud and Google Compute Engine. As the technology increases in popularity, so does the risk of finding vulnerabilities in the system. All information stored on the cloud is protected but to help mitigate the threat, cloud computing stakeholders should invest in risk assessment to ensure their data is encrypted with the highest level of security before being sent and received. Other than taking advantage of the latest and fastest services through your Web browser, cloud computing provides considerable benefits and economic incentives. Proper deployment of these services can provide significant savings and better IT services such as cost-free maintenance, 24-hour support via email, scalability to the needs of the organization, resiliency and redundancy. Other than those factors, cloud computing can give the service industry an upper hand over its competitors by providing online service requests, logging in to see order status and offering interactive shopping assistance via their websites. Through cloud computing technology, companies like Glowork, based in Saudi Arabia, managed to improve Saudi women's chances of being hired. The company operates by helping employers reduce the cost of having separate offices for women in the workplace by giving them the flexibility of working from home. Women are assigned to work stations with systems that allow their employers to monitor what they are doing, including their phone calls and every computer click. An employer can also monitor his or her employee directly from an Apple smartphone. Through iCloud, companiesare now reducing their costs from transportation to office space. They also save on time and increase communication speed. This is one of the first examples in the GCC that integrates cloud technology with the environment in Saudi Arabia.